Doris Kearns Goodwin’s “The Bully Pulpit: Theodore Roosevelt, William Howard Taft and the Golden Age of Journalism” was published in 2013. Goodwin is a Pulitzer Prize winning author and historian whose 2005 “Team of Rivals: The Political Genius of Abraham Lincoln” remains enormously popular. She has also authored biographies of John F. Kennedy, LBJ and Franklin and Eleanor Roosevelt. After completing “Team of Rivals” Goodwin set out to write a history of Theodore Roosevelt and the Progressive Era. During the course of her research she discovered that William Taft played a more important role in TR’s life and in the evolution of America’s political culture than she had previously believed. As a result, her book morphed into a dual biography of Roosevelt and Taft – with a significant focus on their relationships with each other and with the press. Despite its sprawling 750 pages of text, Goodwin’s book is quite readable and often extremely interesting. 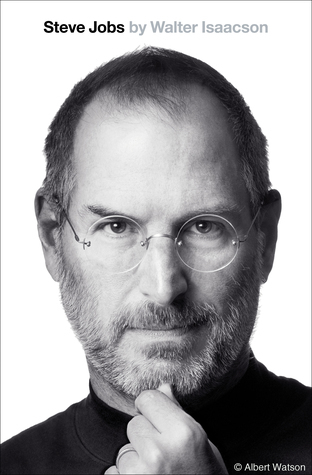 Not surprisingly, the book is underpinned by thorough research and boasts 115 pages of notes. But this dual biography is primarily fact-oriented rather than colorfully descriptive or penetratingly insightful and, as a result, provides a less vibrant account of its main characters – and less analysis – than I would prefer. After an initial chapter highlighting Roosevelt’s return to the US following his post-presidential African safari, the book skillfully alternates its focus between the early lives of Roosevelt and Taft. As the narrative shifts between these two future presidents, Goodwin highlights the surprising similarities – and the spectacular contrasts – in their lives and personalities. Once their respective threads converge (when they meet in Washington D.C. in 1890), Goodwin’s book becomes, at its core, a story about the growth of an extremely close and constructive friendship between these two men. But once Taft replaces Roosevelt in the White House two decades later, the story follows the tragic destruction of that personal and professional devotion…only to see it fortuitously revived just weeks before Roosevelt’s death. The spotlight Goodwin shines on the relationship between Roosevelt and Taft is by far the most valuable and revealing aspect of her book, and it exposes nuances in the personalities of both men not obvious in the dozen other biographies I’ve read of Roosevelt. Otherwise, no meaningful revelations about Roosevelt appear in these pages and there are a few noteworthy moments in TR’s life that hardly receive coverage at all. For example, some of the defining events of TR’s early career in public service (and much of the background that adds texture to his portrait) are missing or receive scant attention. This is also true for his years in the Badlands, his service with the Rough Riders and several of his foreign policy successes while president. As a result, “The Bully Pulpit” is unable to replace a traditional, comprehensive biography of TR for someone seeking a thorough review of his life. The book’s focus on Taft, however, seems proportionately more enlightening. And in the absence of a wide selection of biographies on the 27th president I would not be surprised to learn that Goodwin’s coverage is additive to the body of Taft-oriented scholarship. However, too much of his life is skimmed past for this to qualify as a full-scale biography of Taft. For example, his nearly twenty-year post-presidency (including a decade spent as Chief Justice of the US Supreme Court) is rushed past in the book’s final few pages. In addition to her primary focus on TR and Taft, Goodwin maintains a sub-narrative focusing on the rise of the press during this period – and of investigative (“muckraker”) journalism, in particular. She contrasts Roosevelt’s skill with Taft’s failure in managing the press, and the book is accented with interesting mini-narratives of several muckraker journalists of the era. Unfortunately, apart from the book’s unique focus on the relationship between TR and Taft, it provides almost no special insights, lessons or observations. Instead, it seems designed to convey facts and allow (require) the reader to draw conclusions. The book also tends to digress into minutiae on topics which frequently seem tangential to its main thrust…while excluding details that would enhance the reader’s understanding of the two main characters. Further, it seems as though Goodwin cut-and-pasted thousands of quotes together – carefully gathered by an army of researchers – with well chosen literary glue in the construction of her narrative. It is not uncommon for a single sentence to contain two or three (or more) separate items embedded within quotation marks, and for a paragraph to contain a dozen or more of these creatures. While possibly responsive to issues that have dogged Goodwin in the past, their relentless ubiquity ultimately proves distracting. But the fundamental challenge facing this book is that it tries to cover too much ground. Not only does it focus on TR and Taft but, in varying degrees of depth, Goodwin also applies her “Team of Rivals” multiple-biography format to TR’s wife (Edith), Taft’s wife (Nellie), and a host of politicians and reform-minded journalists. Depending on your perspective, the book either undertakes too broad a mission, or simply too many missions – but it is rarely dull or pointless. 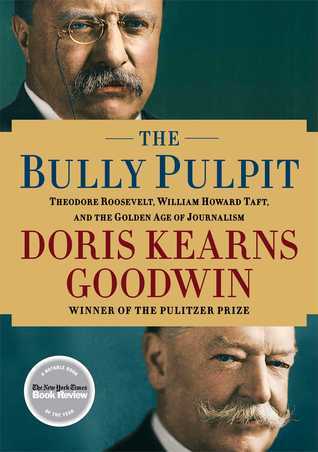 Overall, Doris Goodwin’s “The Bully Pulpit” is an interesting and often compelling exploration of the intersection of the lives of Theodore Roosevelt and William Howard Taft. At times its execution is imperfect but despite its flaws there is something fascinating about this tale of friendship built, destroyed, and eventually renewed. As a result, “The Bully Pulpit” is a must-read for serious fans of these two former presidents. i think Edmund Morris’ Trilogy will be your best bio of TR. btw did you notice that John Ferling actually wrote a full bio of George Washington before? if you do know that, then, why you choose his “The Ascent of George Washington” instead of that one in your reading list? I haven’t finished up with TR quite yet, but the Morris series seems tough to surpass except for someone who really only wants to read a single, full-scale volume. Someone recommended “The Ascent…” by Ferling over his earlier book on Washington, so I read the former. I may go back and add “The First of Men” to my follow-up list but it doesn’t seem particularly popular or well-loved. Have you read it and, if so, what are your thoughts? Hmm… Although i bought it on Amazon few days ago, i haven’t start it yet, & i will try Flexner’s four volumes bio first, after finishing H.C.G. Matthew’s bio of William Ewart Gladstone. i think First of Men will be a good read, at least better than Chernow’s work. i read his hagiography of Alexander Hamilton (it seems you own one) before, & i felt his choose of word is quite challenging for non-native user of english like me. Elkins & McKitrick’s tome The Age of Federalism, a very dense book (with preface talking about J.G.A. Pocock’s book), offer a deeper analysis of Hamilton’s idea in fewer pages. i order several Hamilton’s bio after reading Chernow’s… Maybe in some distant future i will try to write a review titled “Best bio of Alexander Hamilton” in your way! Sounds interesting. I really like the idea of the double biography of succeeding presidents. This works great when they had a complicated relationship and contrasting personalities (someone should do one for Kenendy/Johnson). Recently read a a double-biography about German chancellors Willy Brandt and Helmut Schmidt (Willy Brandt und Helmut Schmidt: Geschichte einer schwierigen Freundschaft by Gunter Hofmann ). If there are any visitors of this site who read German I can highly recommend it. I found Goodwin’s dual biography quite interesting, mostly because it attempted to explain the rise of the progressive movement at the turn of the century in view of how McClure’s magazine and the press in general (inadvertently?) fueled it. Long and detailed as you said, but more forest than trees?